Awesome big room trance track by Sander Van Doorn called “Koko”, this is the club mix…enjoy! 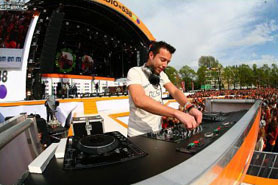 Sander Van Doorn showed up in the world DJ Mag Top 100 at number 32 in 2006, then climbed to number 13 in 2008’s poll, and the next year 2009, Sander van Doorn was at 10th place, right between Gareth Emery and ATB. Quite a quick rise for Sander van Doorn and this is a proof of both his talent and persistence in the dance music scene. Within 7 years he’s produced more dance floor destroyers, sell out events and awards than most dance artists do in a lifetime… and it’s just the beginning for him.